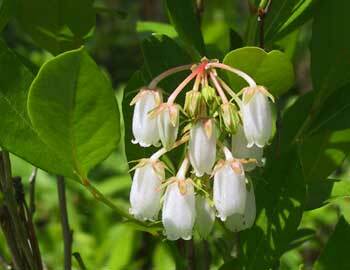 Slender, deciduous shrub; to 7 feet in height. Leaves thin, oblong to oval. White or pinkish flowers in umbel-like racemes, in clusters on old leafless branches; April to June. Sandy, acid pine thickets. Southern Rhode Island, Connecticut, New York to Florida, eastern Texas to Arkansas. Benjamin Smith Barton, in his classic Essay Towards a Materia Medica of the United States (1801), wrote that leaf tea was used as wash of “disagreeable ulceration of the feet, which is not uncommon” in the southern states. 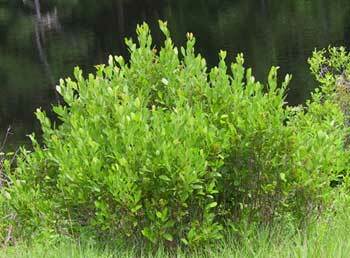 Cherokee Indians used leaf tea externally for itching, ulcers. Poisonous. Produces “staggers” in livestock, hence the common name.